11.5X21 original acrylics and alcohol inks on metal. Framed in a custom hardwood floating frame finished in dark brow. Framed size is 14.5X24. 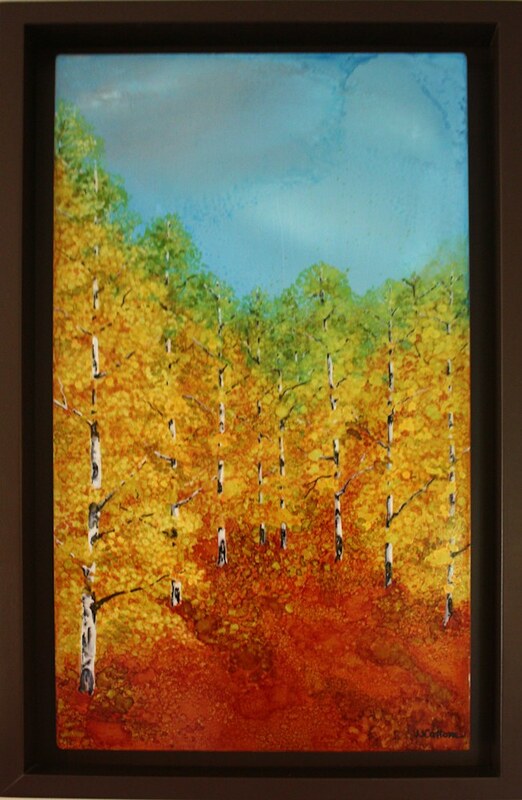 Beautiful interpretation of Hope Valey Aspens in Fall painted on aluminum panel. 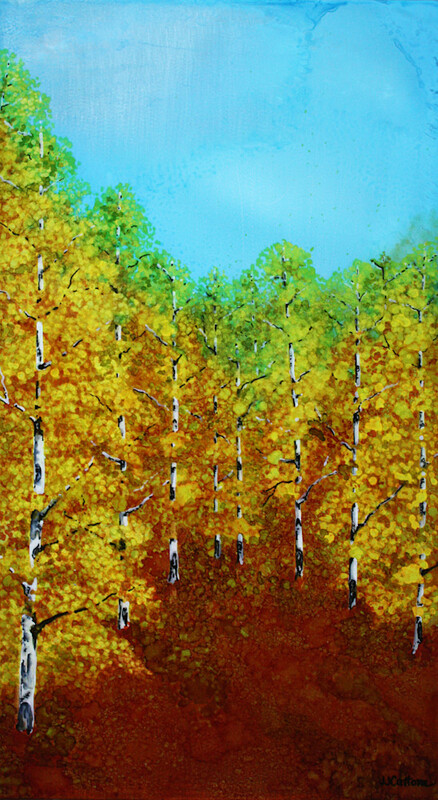 I use a variet of alcohol inks and acrylics to acieve a stunning effect that captures the eye.